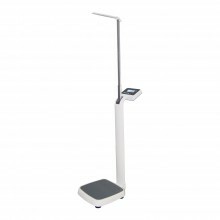 The 6550's MedVue® weight indicator is the clinical industry's most advanced, featuring EMR/EHR-ready serial, USB, and optional Wi-Fi connectivity, BMI calculation, yellow "quick keys" for basic weighing, and a multi- line LCD display. 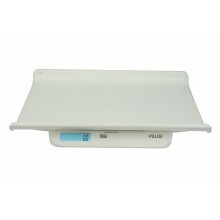 The scale is powered by 6 AA batteries (not included) or optional AC adapter. 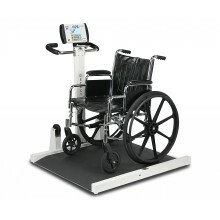 The robust 1,000-lb / 450-kilogram capacity and extra-large platform size allows the BRW1000 to be used with patients in manual or power wheelchairs, dialysis patients, or walk-ons. 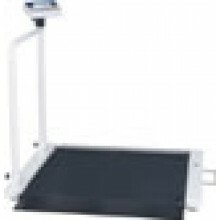 Optimum patient weighing "on-the-move". 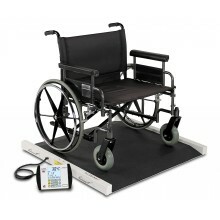 With built-in ramps for entering and exiting the scale, Detecto's 6500 portable wheelchair is perfect for clinical weighing applications. 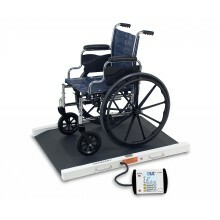 For added convenience, you may enter the wheelchair weight via pushbutton or keypad tare, so that only the patient weight is displayed. 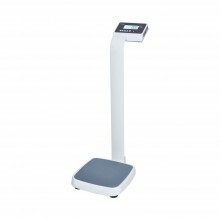 With a high capacity of 1,000 lb / 450 kg, this scale is ideal for bariatric weighing needs. 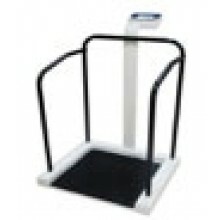 MDW health and fitness scales offer an affordable and durable solution for medical facilities, and provide practical features for school locker rooms and fitness centers. 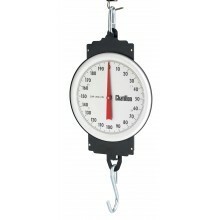 All MDW scales feature an adjustable height rod for precise height readings. 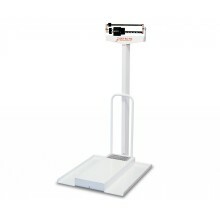 The MDW 200B is a mechanical scale with wheels and a notched counter weight that clearly shows the weight. 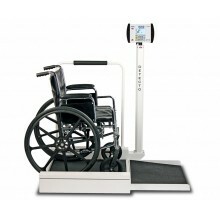 Detecto’s wheelchair scales make weighing patients quick and effortless. 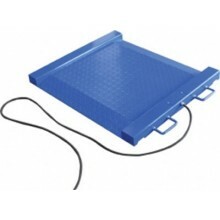 Built for use with any standard size wheelchair, these scales offer comfort for patients, convenience for nurses. 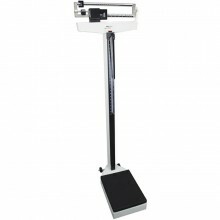 he 6495 offers speed and increased accuracy that only electronic digital weighing can provide - weight in pounds or kilograms at the press of a button. 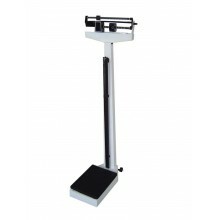 The weight display is mounted on tilt mount which permits the indicator to be angled for easy viewing. 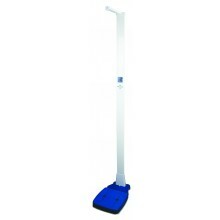 A keypad for entry of known empty chair weights is also provided, this giving the exact weight of the patient accurately and instantly in large .7" digits.